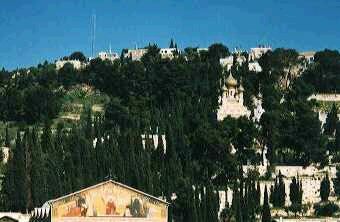 "And in that day His feet will stand on the Mount of Olives, which faces Jerusalem on the east. And the Mount of Olives shall be split in two,..."
Matthew 24:30: "Then the sign of the Son of Man will appear in heaven, and then all the tribes of the earth will mourn, and they will see the Son of Man coming on the clouds of heaven with power and great glory." Matthew 24:32 - 34: "Now learn this parable from the fig tree: When its branch has already become tender and puts forth leaves, you know that summer is near. So you also, when you see all these things, know that it is near--at the doors! Assuredly, I say to you, this generation will by no means pass away till all these things take place." Please click on any of the following articles. We hope you find them profitable. Law or Grace, Which Side Are You on?